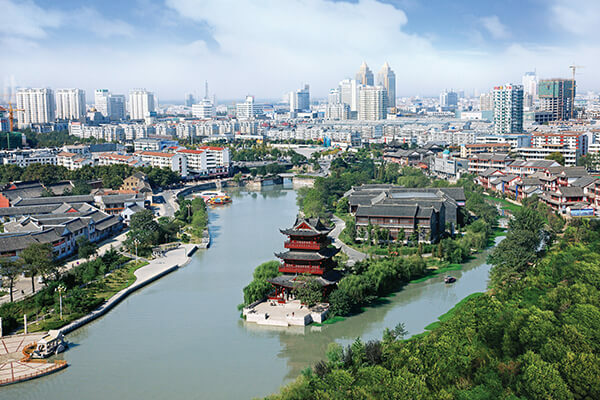 Huaian located in the northern part of Jiangsu Province, the ancient Huaihe and the Beijing Hangzhou the Grande Canale intersection, has 2200 years of history. In history, Huaian has a reputation as “one of the four great cities of the Chinese canal”. Huaian has a history of more than 2000 years. Huai’an government office is the oldest surviving ancient government building. The Caoyun Museum which a total rea of 6300 square metres located in Jiangsu Province Huai’an is really unique especially if you are interested in the Grand Canal. 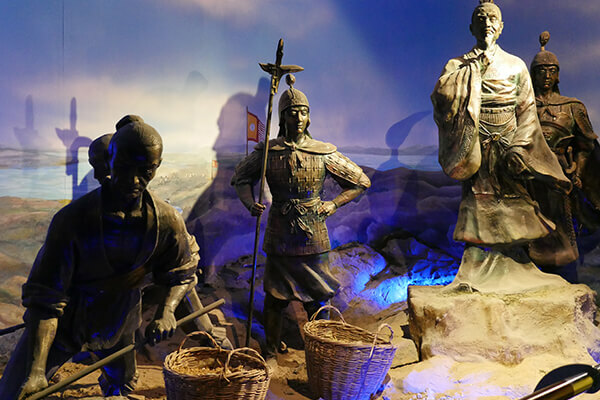 The Caoyun System was a water and land based grain transportation system, begun in China during the Qin dynasty (221 BC – 206 BC) which saw continual use until the Qing dynasty (1644–1911). The primary purpose of the Caoyun was tax collection, since grain was a major payment method accepted by the imperial administration. The system also played a secondary role as a distribution network for army provisions. Visit the displays to learn more. Situated in Xidajie,Qingpu District,Huai’an, it is the only well-preserved classical garden of the Qing Dynasty in Huai’an. It was first constructed in 1417 with a history of nearly 600 years. This garden shows a style of its own, with the magnificence of the gardens in North China and the exquisiteness of the gardens in South China. In addition, the garden contains 17 very precious stone tablets by the emperors of the past.